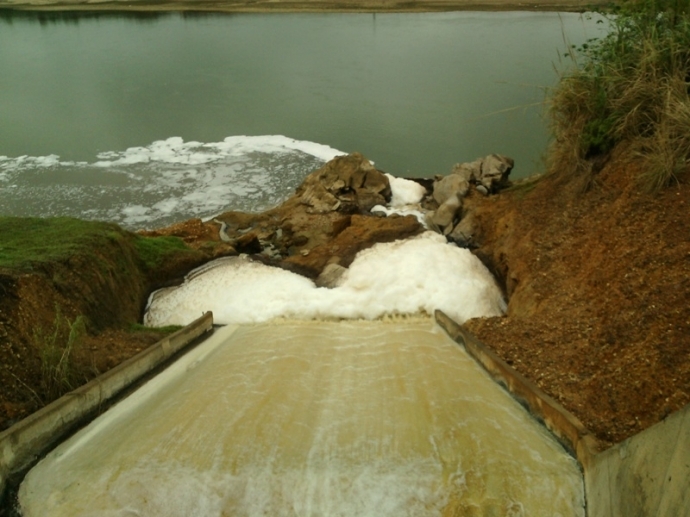 TUYEN QUANG (VNS) — The An Hoa paper company was found discharging sewage more than the permitted level, Pham Van Luong, deputy director of Tuyen Quang Province's Natural Resource and Environment Department, said. A joint inspection team from the provincial department's inspectorate, environment protection department and other relevant agencies found that though the joint stock company had temporarily stopped production for periodic machine maintenance from March 1 to 26, it still discharged sewage into the Lo River. The authorities took two water samples, and the test results showed the sewage quantity exceeded the permitted level. The provincial's People's Committee has given the company a deadline of May 31 to finish its sewage treatment systems, to ensure that the discharge of sewage is within the permitted level.